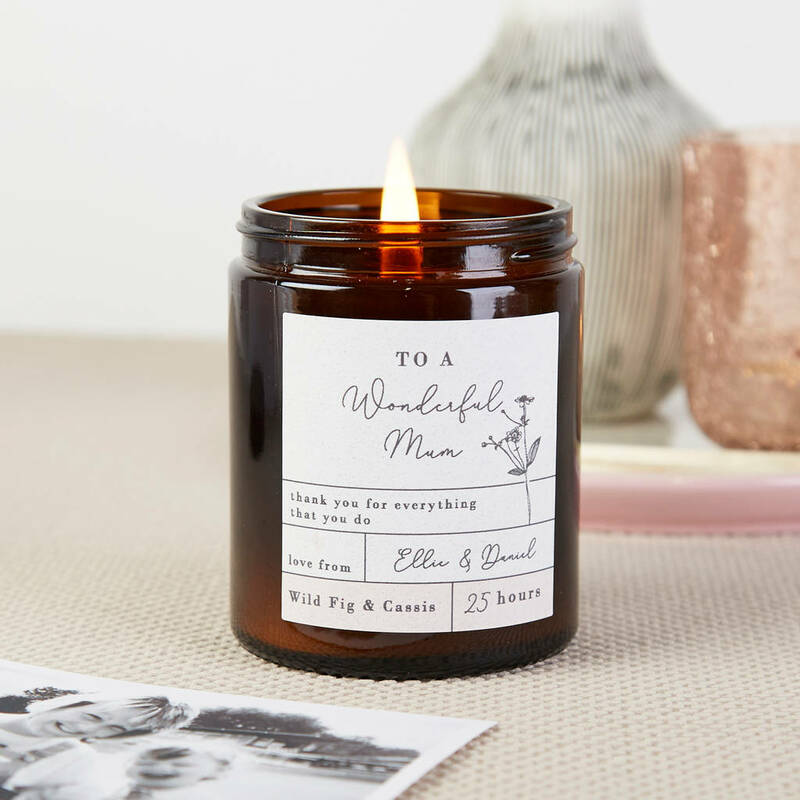 A natural, scented soy wax candle perfect for Mum. Featuring a feminine design with soft lettering and a beautiful floral illustration. 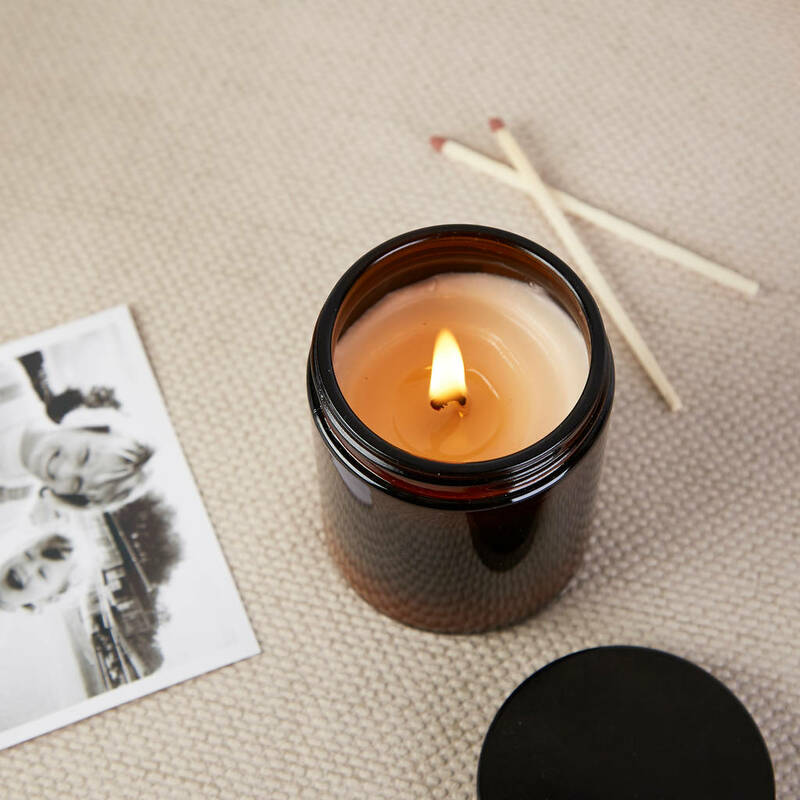 A modern styled candle with a nostalgic apothecary look. The 180ml jar candle is presented in an apothecary style jar with lid and filled with a natural soy wax. Hand poured in our Manchester workshop, the candles are personalised to order before being beautifully packaged by hand. 25 hour burn time. A calming, fresh scent reminiscent of relaxing spa days. This candle's aroma is light yet indulgent. A sweet, delicate scent that we simply adore at norma&dorothy. Fresh and Springy, this scent is both uplifting and energising. Masculine notes combined with sweet, musky tones make for an adventurous, indulgent scent. Mum candle made from natural soy wax. Mum candle is 180ml / 25 hour burn time. This product is dispatched to you by norma&dorothy.